Starz has released the Official Synopsis of Outlander episode “Man of Worth” (4.13) that will be aired on Sunday, January 27 at 08:00-09:00 PM. 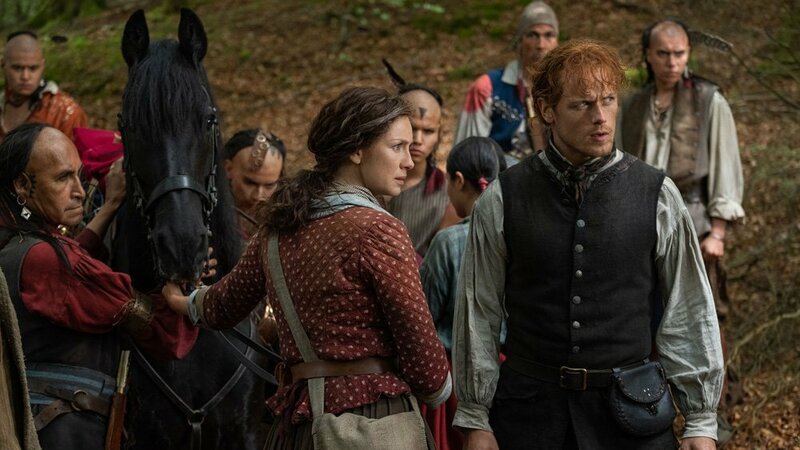 Jamie, Claire and Young Ian’s attempt to rescue Roger from his Mohawk captors goes awry when a ghost from Claire’s past lays waste to their plan. Meanwhile, Brianna worries Claire, Jamie and Roger might not return. Outlander stars Caitriona Balfe as Claire Fraser, Sam Heughan as Jamie Fraser , Sophie Skelton as Brianna Randall Fraser,Richard Rankin as Roger Wakefield and John Bell as Young Ian. Outlander follows Claire Randall, a married WWII combat nurse who mistakenly falls back in time to 1743. Claire’s relationship is tested and must reconcile her modern mindset with this 18th century world. Ruthless redcoats, volatile clan politics, and a brutal witch trial force Jamie and Claire to escape to a new home. Just when their life as a married couple begins to take shape, Jamie is once again drawn into Captain Randall’s darkness. Ultimately, Claire discovers there is a fate worse than death as she struggles to save Jamie’s heart, as well as his soul. Outlander is produced by Tall Ship Productions, Story Mining & Supply Company and Left Bank Pictures in association with Sony Pictures Television. Outlander is adapted from Diana Gabaldon’s international best-selling books with executive produced by Ronald D. Moore.